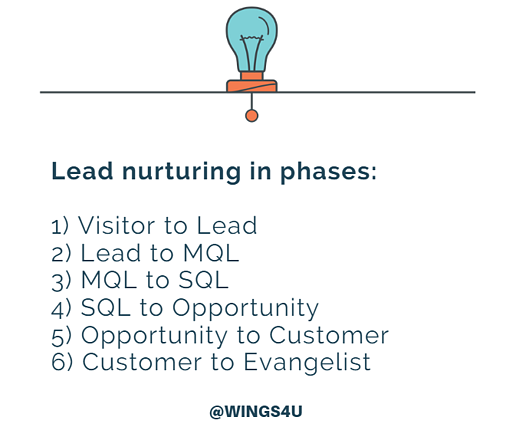 Lead nurturing is the process of developing a relationship with potential customers throughout the buyer's journey by providing them with additional information, keeping in touch, and growing their interest until they’re ready to become customers. The easiest way to explain lead nurturing is to compare it to dating: getting someone’s phone number is just the start. If you propose to someone on the first date, you’ll scare them off so fast they’ll fake a phone call and inform you that their cat is vomiting and they need to take care of it. Forever. On the other hand, if you don’t call them for weeks after a successful date, they’ll lose interest and start looking for someone else. Unfortunately, just like in the dating world, it is not always easy to have things your way. According to MarketingSherpa, 79% of leads never convert into customers, and the main reason for this huge percentage of failed leads is the lack of proper lead nurturing. Ideally, the journey of turning a visitor into a customer should be linear and sequential, but many times it doesn’t work out that way. Some people will skip certain stages of the journey (which works to your benefit), others will go back to the previous stage or never progress to the next one, and that’s sometimes inevitable. The best practice is to define a system that qualifies leads for the next stage, so that you can adjust your messaging and offers accordingly. You can do so either with an automatic scoring system or with manual criteria. There is no universal way of applying this system since every lead generation and nurturing process varies from company to company because of the differences in target audience and the type of products and services. Before setting up your lead scoring, evaluate whether your business would actually benefit from a lead scoring system, since it’s not a “must-have” for all types of businesses and industries. The basic idea of lead scoring is to assign certain amount of points for specific actions done on your website or for certain criteria (e.g. reading a blog post, number of followers, downloading case study or an ebook) to define how active your prospects are. You can set up a rule i.e. that leads with certain amount of points become Marketing Qualified Leads, or herein referred to as MQLs. The shift from visitor to lead is the initial and the most common measurable conversion. A visitor becomes a lead when they perform an action, such as downloading your content resource in exchange for their information (name, email, etc.). Since many people aren’t interested in your products but only need the information from the content asset you provide, the next step is to nurture and then determine which ones are MQLs. Once you have a lead’s information, you’ll need to test the waters a little to see whether there is buying potential in them. You can do this by sending a nurturing email with an offer to download more content similar to the one they were initially interested in. Assets like blog posts or eBooks can be very effective at this stage of the journey. After a number of interactions with the lead, there is a point where you can assume they are ready to qualify as a MQL. Again, this depends on your company and you should make criteria on your own that are derived from experience and are subject to change. For example, some companies will consider a only consider a lead to be a MQL only if it is high up enough on the hierarchy ladder and has decision making power; which is a condition that wouldn’t work for any B2C company. Some of the content assets to offer at this stage could be focused more on your company’s work and how it helped others with the same challenge as your lead, such as case studies or white papers. The moment when a MQL is qualified as a Sales Qualified Lead (SQL) is also the moment when the marketing team hands it over to the sales team. 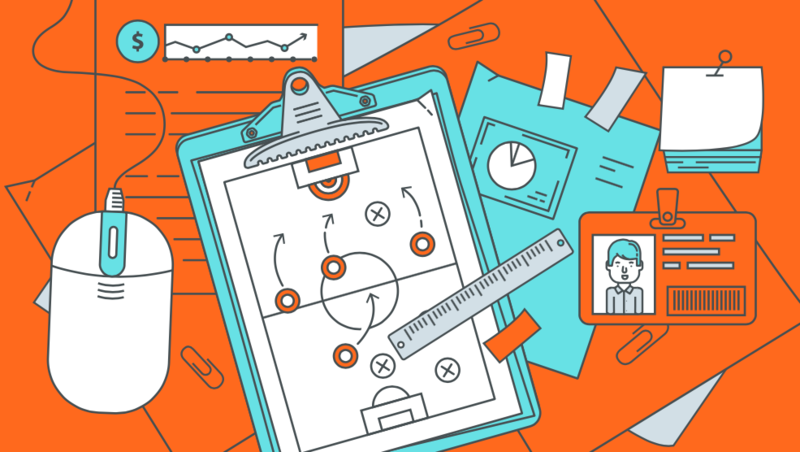 We call it the “smarketing process” because it involves both teams being aligned in their efforts. First of all, there needs to be a clear idea of the criteria for MQLs to qualify as SQLs. These criteria depend on the kind of customers your company is trying to get (i.e. medium businesses, SaaS industry, from North America). It’s up to you whether or not to ignore businesses outside of your criteria that show interest in your services. When a MQL becomes a SQL, you don’t stop the nurturing process. Instead, this is the best moment to provide information that shows the quality of your solutions (past case studies), highlights your experience (testimonials from other clients) and all the benefits of your company’s offerings (demos, a free consultation). Opportunities are contacts who have become real sales prospects in your CRM. These are the potential customers that have shown interest in getting a quote and working with your company, and are very close to the end of the buyer’s journey. However, they are called opportunities until (and if) they sign a contract or make a purchase. Finally, it’s the most challenging and the most rewarding step of the process - getting a Sales Qualified Lead (SQL) to become a paying customer. You shouldn’t only rely on sales when it comes to communication here because it’s not the end of the journey. The nurturing process doesn’t stop when someone becomes a customer, because there is one more final step in the journey. If you delight your customers by educating them, providing advice, and assisting with important decisions, they may turn into evangelists. Evangelists are the advocates for your business and will refer new business to you unsolicited. Leveraging their networks often brings in new customers and helps you to reach leads you may not have been able to get otherwise; which is why it’s worth the effort to nurture your existing customers into becoming evangelists. One of the greatest challenges of lead nurturing is that it requires the marketing and sales team to work together and have great communication, which often isn’t the case. The two teams need to agree on the criteria for a MQL to turn into a SQL, otherwise the marketing team will keep sending leads that aren’t ready to pass to another stage; wasting both the sales team’s time and the potential for the lead to develop in the right way. The sales team should approve every SQL by determining if the lead has enough authority to make the purchase, sufficient resources for it, and an urgent enough need for the product or service. In conclusion, it’s not enough just to generate leads, you need to develop and nurture a relationship with them and slowly build up to turning them into a customer. Just like with any relationship in life, you should balance the frequency of communication (not to smother them, but not to leave them hanging either) and the right messaging (providing the right kind of content and not scaring them off with a salesy approach after they’ve just become leads). Want to learn more about B2B lead generation that incorporates lead nurturing into the strategy? 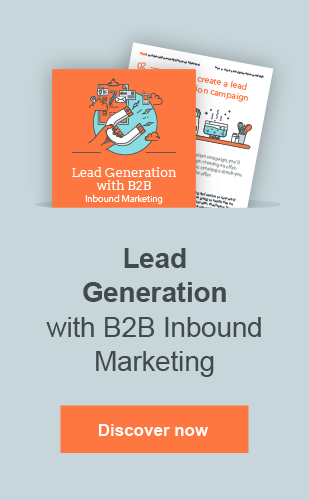 Download our Lead Generation with B2B Marketing ebook!